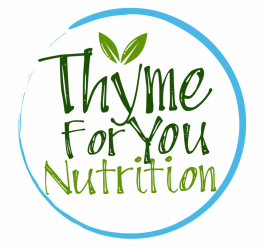 I'm thrilled to introduce Thyme for You Nutrition, the new face of the nutrition services provided by Darci Barman, Registered Dietitian Nutritionist (previously of Pilgrim's Wellness Clinic). My office has moved to Spokane Valley, WA with more space for teaching, cooking and working on a better you. Find new recipes to help you and your family incorporate more fruits, vegetables and real whole foods into your life! Same great services, new location! Easy and convenient access to professional-grade supplements and natural and organic foods, delivered right to your door! Check back from time-to-time as I introduce new programs, classes and services to my site and practice. Stay up-to-date and follow my food adventures on Facebook or Instagram!